With the travel and all the projects we have planned for my upcoming trip to Chicago and Austin, I started to think.. Wait, what about my makeup? Will it melt off my face in the heat and wind? There’s nothing like looking fresh for the day, then I glance at the mirror, at the end of the day, and discover I look like a melted wax statue! I don’t wear a lot of make up throughout the day as I work from home, however, I needed to find something that could protect my face and last. 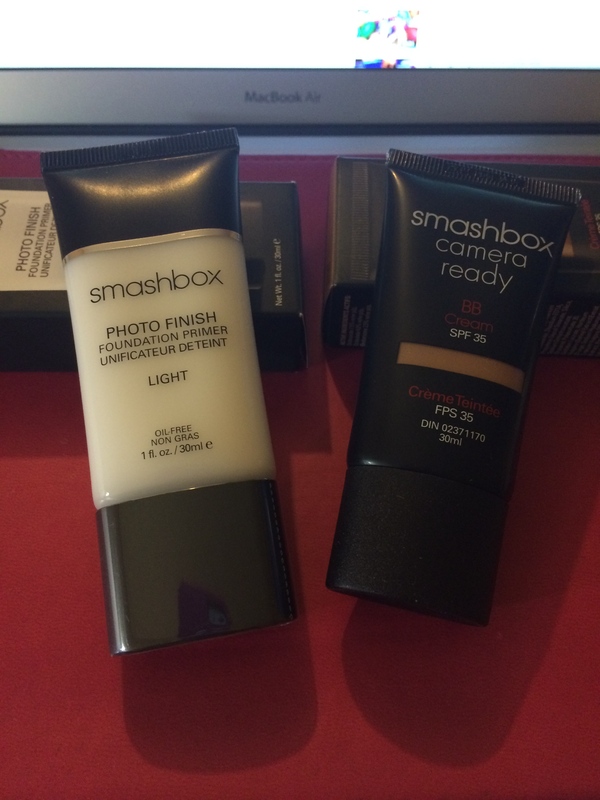 I’ve been using Smashbox Photo Finish Primer and Smashbox Camera Ready BB Cream for the past week to test and see if these products together would solve my makeup problem. The primer is very light and it creates a really nice smooth finish, the BB Cream is very thick yet it glides on easily. I used my finger tips to apply both products in small amounts (little goes a long way). I wanted to see how the product would hold up should I need to quickly apply it between flights. When it’s on my face it feels light and non-cakey and it does last all day. Now, as far as the price it is on the higher end side of makeup, for both products it totalled about $100 taxes in. That may seem pretty expensive for some, but I wanted the quality. I’ve spent years and money wasted on drugstore brands that were always a hit and miss, so I look at this as a small investment on a great product. Like I said before, I don’t wear a lot of makeup on a daily basis, so for me, this is a perfect fit.